Fstoppers Reviews the Nikon KeyMission 360 - How Does It Compare to the Samsung Gear 360? The Nikon KeyMission lineup was announced in January 2016 at the Consumer Electronics Show and left many people scratching their heads. Hadn’t GoPro tried this action camera thing before? Overshadowed by the confusing press around the KeyMission 80 and the KeyMission 170, however, was a gem in the otherwise oddball KeyMission lineup, something unique that got lost in the shuffle, the KeyMission 360. It’s a true 360-degree camera that captures spherical video without any gaps in the footage, something that wasn’t as common in consumer 360 cameras at the time. So after many months with the camera, how good is it, and how does it compares to its nearest competition, the Samsung Gear 360? 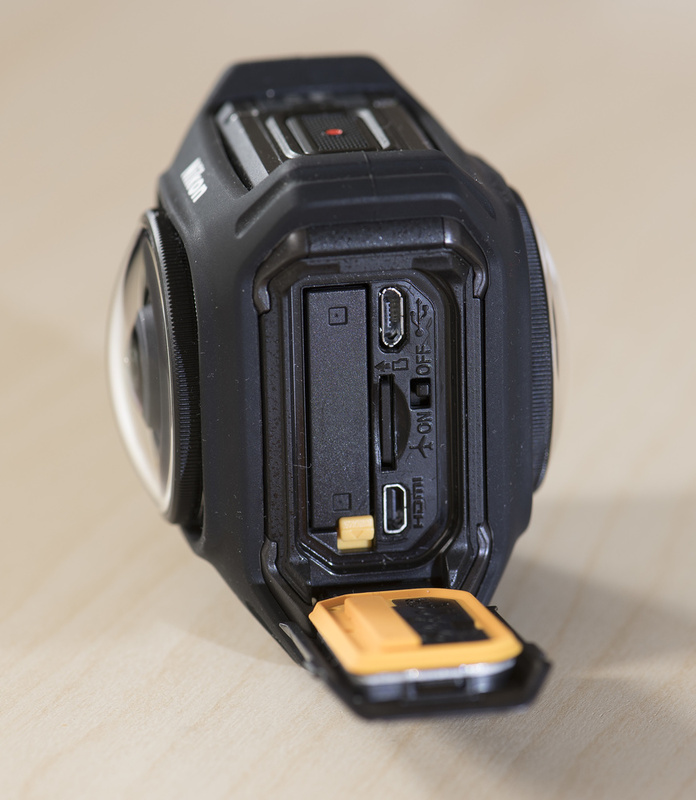 If you’re looking for a detailed list of what’s in the box, you can check it out on Nikon’s website, but the highlight features of the camera are that it shoots 4K video (3840x2160) at 24 fps, and photos at 7744x3872 resolution. 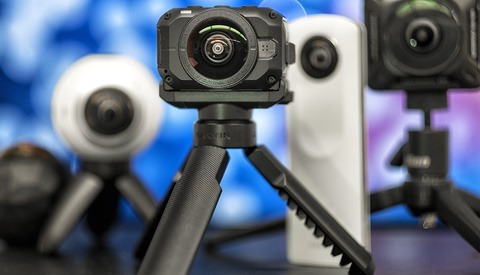 There’s a pair of 180-degree lenses and two sensors sandwiched back to back to form the spherical 360 images and video, and the whole camera is waterproof to 100 feet and shock proof to 6.6 feet (although these aren’t things I tested in actual use). While resolution is higher than the Samsung Gear 360’s 3840x1920 for video, the frame rate is a bit slower at 24 fps versus 30. The big deal for 360 shooters is that all of the stitching is done in-camera. There's no software to mess around with, no synching of multiple cameras (anybody who has used a GoPro Omni rig can sympathize with me), just equirectangular footage spit right out onto a MicroSD card and ready to go in your favorite video editing software. This is a huge deal, and something Nikon got very right on this camera. Even stitching two images together with Samsung’s offering takes valuable time. 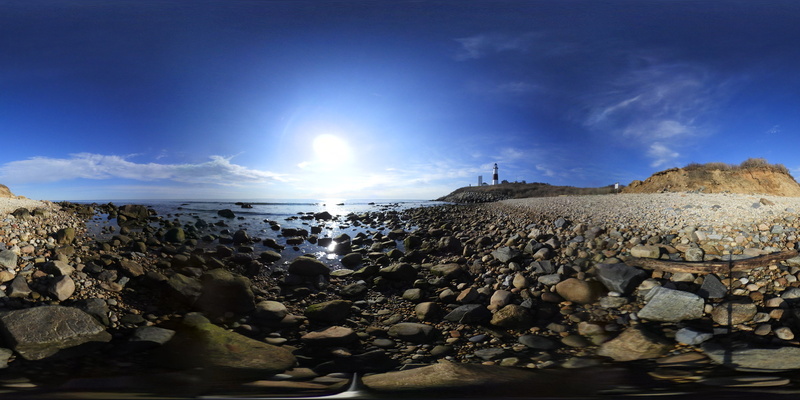 The equirectangular image produced by the Nikon KeyMission 360. 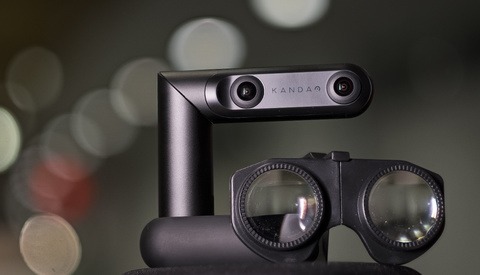 While it looks strange in a normal view, it plugs right in to any 360 viewer to provide an interactive experience. One thing they didn’t do right, initially, was software. It’s better now than it was at launch. Early versions of the software were so bad, an editor at the Associated Press put a guide out about the camera and offering as the first piece of advice (in bold letters): "don’t use the SnapBridge App." Up until firmware version 1.3, which was released in early April, I was inclined to agree with him. I actually lugged a laptop on shoots to plug the camera into the desktop app and change settings, connecting with the Snapbridge 360/170 app on my iPhone 6S was that much an exercise in futility. Once I updated, I could connect to the Snapbridge 360/170 app on my phone, and I could preview my images, adjust my exposure, and change settings to my heart’s content. It connected almost seamlessly now and I only experienced an odd crash here and there (which Nikon’s social media team asked me about, but then never followed up on). That said, for all of this talk about software, Samsung’s Gear 360 doesn’t support Mac or iOS phones (though in theory that’s set to change this summer with the next version that’s coming out). At least Nikon tries. Once the software issue was fixed, how did it handle? In short, it’s a mixed bag. Because it’s a 360 camera, it’s inevitable that you’re going to not have a lot of places to hold it, but for some reason, the two buttons that are on the camera — one for photo, and one for video — have almost no resistance. I would easily hit them taking the camera in or out of a case and it would start recording without me even knowing it, eating up space on my memory card (which comes at a premium; a 2 minute clip took just a bit over a gigabyte each time). Both buttons power on the camera and immediately start recording (holding them down powers on the camera without recording). The Samsung Gear 360 ostensibly has the same design limitations, but it has better thought-out controls: a power button that you have to hold for a second before it turns on, and a separate record button. However, the body on the Samsung feels a bit more frail compared to the Nikon, and you can’t change the lenses on the Gear 360 like you can on the KeyMission 360. The flap on the side of the KeyMission 360 that houses the all-important connections, card, and battery. The flap on the side of the camera, which houses the memory card slot, battery, airplane mode switch, and connections, is a bit fiddly. There are two sliders to move before you can access anything, and it sometimes required some force to lock everything back down again. The lenses are huge for a body that’s just a bit smaller than my fist, but thankfully they are replaceable, so if they do happen to scratch, it’s not the end of the 360 world. The biggest handling problem comes though in the lack of the screen. The only indication you have that things are recording (or aren’t) are a cryptic set of lights on top of the camera that flash red or green. These lights do double (triple?) duty to signal firmware updates and other camera errors. This means you are entirely reliant on the desktop app or phone app to set your camera up, or to enable a special mode, such as time-lapse (which disappointingly is not available at full resolution, unlike the Samsung Gear 360 that the Nikon competes with). The Samsung Gear 360 at least crams a tiny screen on top to change settings, so if your phone battery dies, you’re not left without options. How Do Things Look out of the Camera? Image quality, for this class of cameras, is acceptable. In still photos, you’d be hard-pressed to tell the difference between other cameras in this class, including the Samsung Gear 360. Video is comparable, though not as sharp as the Samsung Gear 360 (you can see footage shot with that camera here). Without stepping up to something like a $5,000 GoPro Omni setup, this is about what you’d expect from this class of camera that uses two lenses and two sensors. While you can see the difference on a computer monitor, things look about the same for both Samsung and Nikon cameras when viewed on a phone or an Oculus Rift headset despite the resolution difference between the cameras. It’s disappointing that Nikon’s higher resolution didn’t provide a clear benefit here, but that doesn’t mean it’s image quality for video isn’t usable. Colors are generally vibrant, though I found them more appealing with the “Active D-Lighting” turned off. They looked a bit washed-out with the setting turned on. Dynamic range is about what you’d expect for the small sensors in this camera. You can’t adjust specific settings for images, just exposure compensation. If none of that sounds like a ringing endorsement, it’s because of one major factor that hobbles the camera: the price tag is $500. At $200 for the Samsung Gear 360, you can buy two cameras and still have money left over compared to the Nikon, with comparable image quality and features. Food for thought. In-camera stitching is a huge time-saver, and something every manufacturer should be doing. Image and video quality is decent in its class. App is easy to use and has a good number of features once you update the firmware. Expensive for what’s now an older product in this space. Buttons are too easy to accidentally push. Needs a screen on the camera to change settings without an app. Trick modes, such as time-lapse, are only available at lower resolutions (960p). 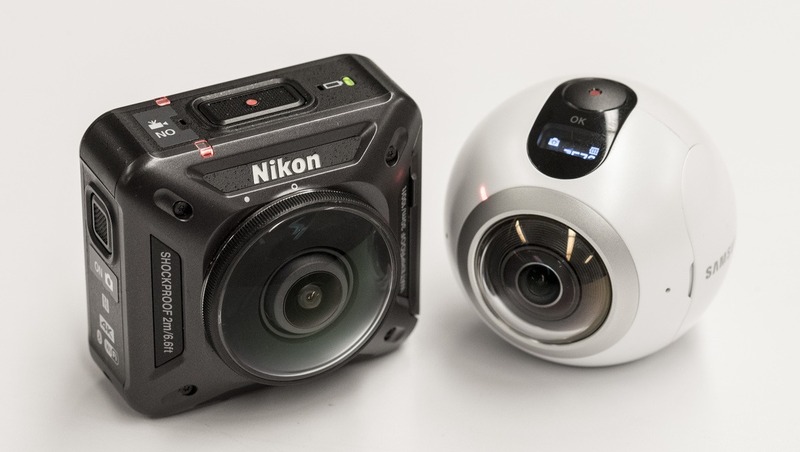 We’re on the cusp of seeing second and third generation 360 cameras from many manufacturers, and this product is firmly in the first generation for Nikon. Foibles with the controls, growing pains with the software, and good-but-not-great image quality are evidence of that. If you’re a PC and Samsung Galaxy phone user, and are willing to put up with stitching after a shoot, then the Samsung Gear 360 is a better purchase for the money. But Mac and iPhone users will find a lot to like about the Nikon KeyMission 360 if they can swallow the $500 cost, which is simply too high for the class it’s competing in. Nikon did a lot of things right with this first stab at 360 video, enough to make me hope that they’ll keep at it for a second iteration of the KeyMission 360. If you can wait, it will be interesting to see Nikon’s response to the updated, live-streaming Gear 360 2017 edition. I own a Nikon KeyMission. I immediately opted to use my own editing software. I've been using it since October 2016. Plenty of videos on my YT channel, DangerManXX. The camera is top mounted on my helmet for inline Skating and both side and top mounted on my goggles for paintball. Judge for yourself. This camera is excellent. I get well over an hour battery life. Spares are cheap and the post production time is minimal due to single file / no stitching by hand needed. Editing software is the future of more exciting post production but in my genres, this camera is excellent. The only improvement I would offer is a housing like the GoPro Hero Session. That would allow for less clunky side mounts when necessary. I know, I've done it. The price to me was easily justifiable. I answer all questions at my YT channel even on my gear so feel free. I have loads of 360 to review. Oh.. if you do swing by. Be cool, leave a like or comment. Especially if I can learn anything new about this genre. 360 has a place, but it is nuanced. Stationary 360 is not the future in my opinion. I agree with you that stationary 360 is not the future, but this current gen of cameras - including the KeyMission 360, doesn't have the stabilization for smooth movement yet, at least not handheld or on inline skates or something. I took a look over at your YouTube channel and it's a cool idea, inline skating and walking tours and such, but I'd really like to see a company implement stabilization that came make the whole experience of movement less nauseating. I say that as a blanket statement for the three I've had experience with, the GoPro Omni rig, Nikon KeyMission 360 and Samsung Gear 360, but if anyone knows of others that might be better, I'm all ears. My experience with the Gear 360 is vastly different. You can not use it at all unless you have a newer model Galaxy phone or tablet. Will not work on any other device. Had an S5 that it would not work with. For image quality, it was horrible. I could not see using this beyond being a disposable toy. I have attached an image from the Gear 360. You get what you pay for, and with this, its not much. I think the core of the problem is that too many manufacturers, for too many products, are relying on smartphones to do the heavy lifting. The functions should all be controllable from the device, so you don't need a smartphone. 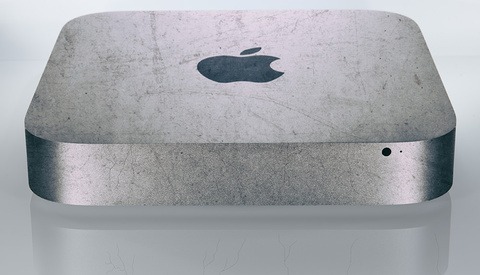 Otherwise, a few phone generations out, and you'll have a nice paperweight once software support is gone. I have a Syrp Genie instead of a Genie Mini just for that reason. Yes, I paid that much more just to have it not need a cell phone to work.